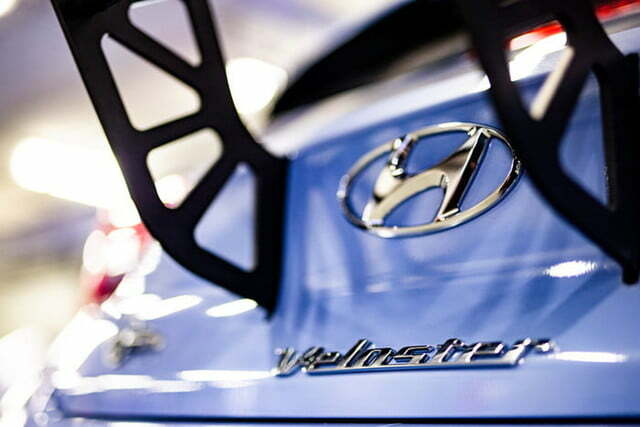 The Hyundai Veloster N is the first model from the Korean automaker’s N performance division sold in the United States. The problem with launching a brand-new line of performance cars is that they don’t have the heritage and street cred of more established rivals. 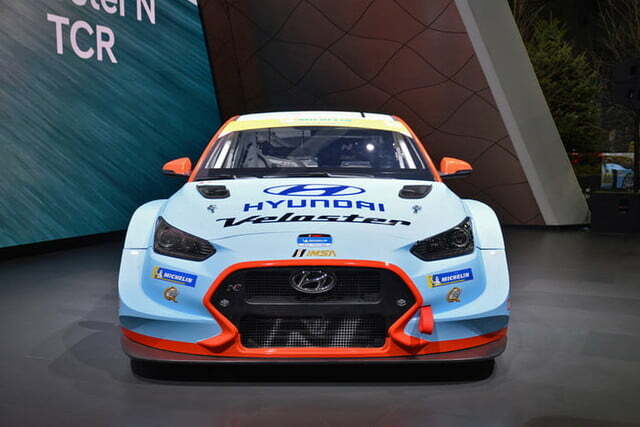 One way to build up that credibility is to go racing, so Hyundai unveiled a racing version of the Veloster N at the 2019 Detroit Auto Show. 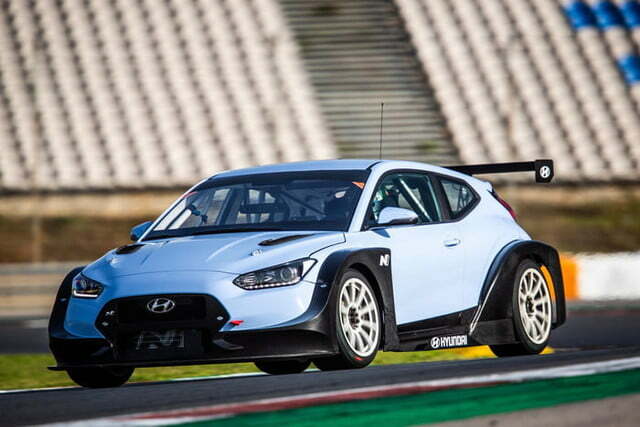 The Hyundai Veloster N TCR will race in the IMSA Michelin Pilot Challenge series. 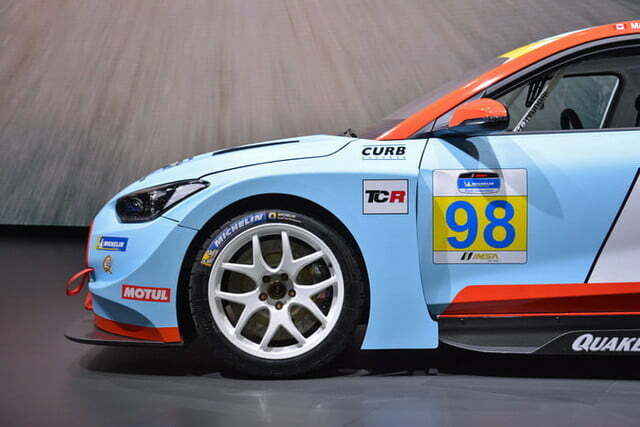 TCR (short for Touring Car Racing) is a relatively new class that uses cars based on production sedans and hatchbacks like the Veloster N. These cars cost less to run than their counterparts in other racing classes, which has led to TCR being adopted by multiple racing series. 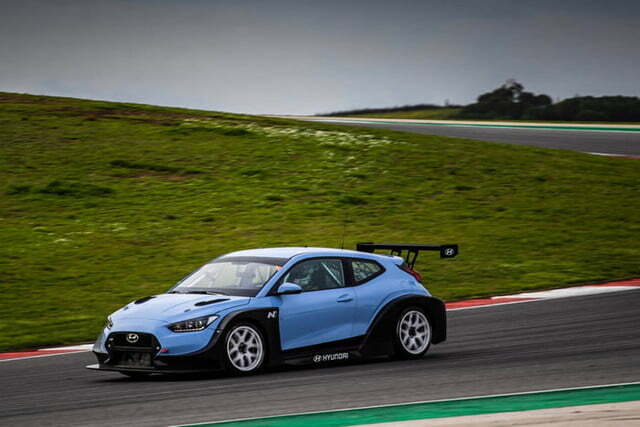 In the U.S., the Veloster N will compete against TCR versions of the Audi RS3, Honda Civic Type R, and Volkswagen Golf GTI. Fans will be able to see a car they can actually buy compete against some of its logical rivals on the track. 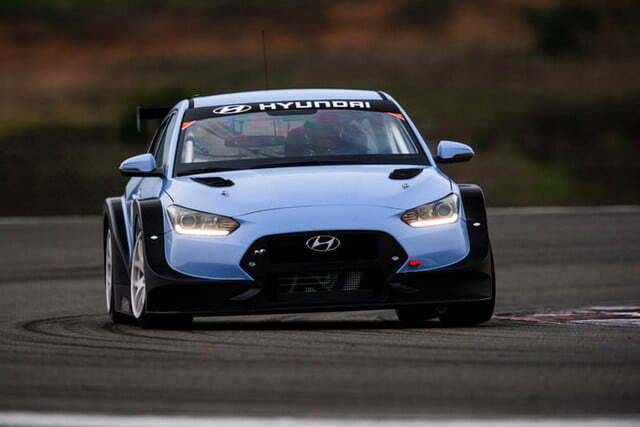 That wasn’t the case in 2018, when Hyundai ran a pair of i30 N TCRs in the Pirelli World Challenge in partnership with race team Brian Herta Autosport. 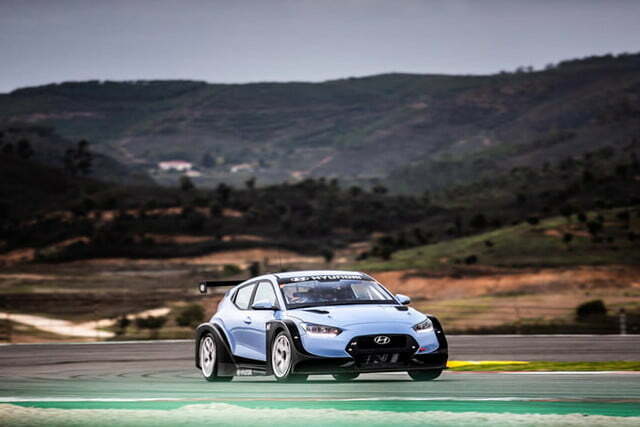 The i30 N is not sold in the U.S., but the car was approved for competition and Hyundai wanted to go racing sooner rather than later. 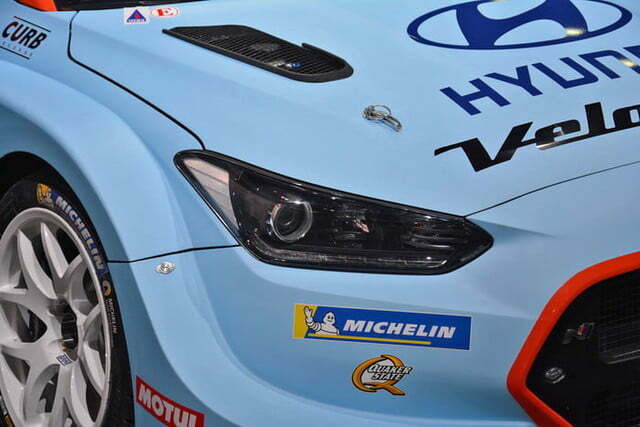 The team won a championship, so Hyundai’s impatience seemed to pay off. 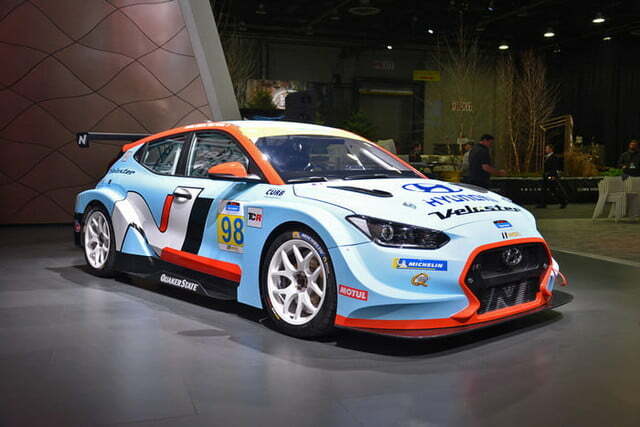 This time around, the car Hyundai races will be based on the car in its U.S. showrooms. 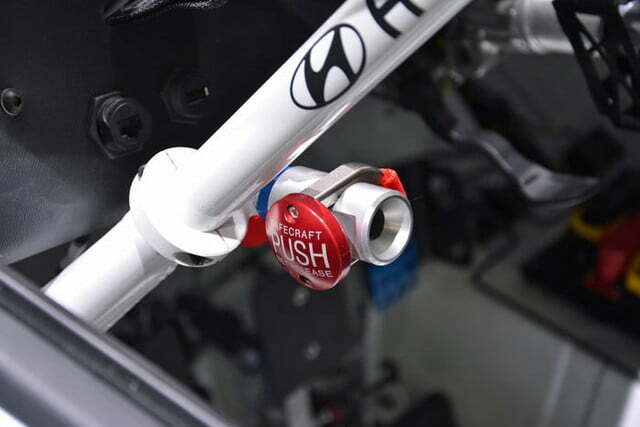 Hyundai claims the Veloster N TCR shares 85 percent of its “core components” with the standard production model. 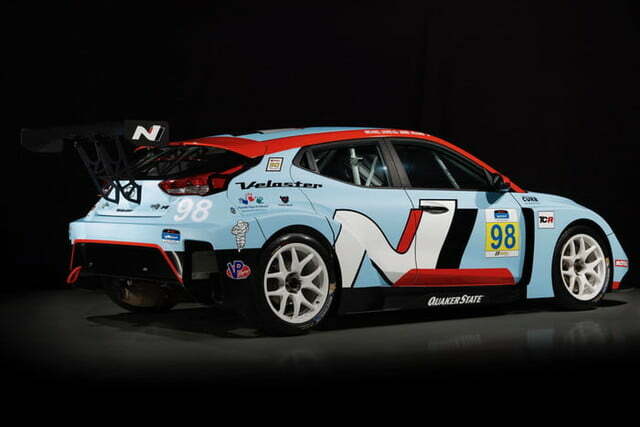 That includes the 2.0-liter turbocharged four-cylinder engine, which makes 350 horsepower and 332 pound-feet of torque in the race car. 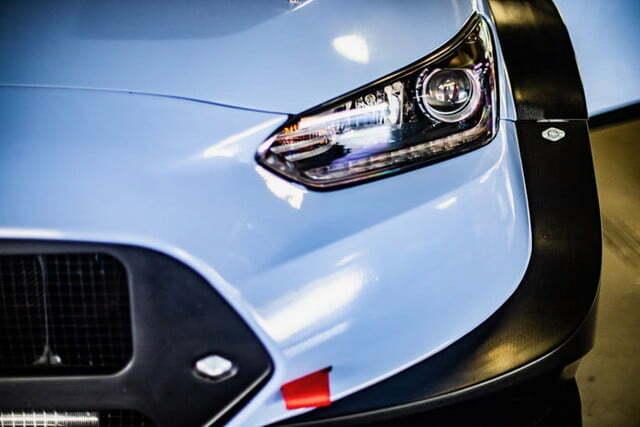 That’s up from 250 hp and 260 lb-ft in the stock Veloster N. Power still goes to the front wheels, but the race car gets a special six-speed sequential transmission with pneumatic paddle shifters. 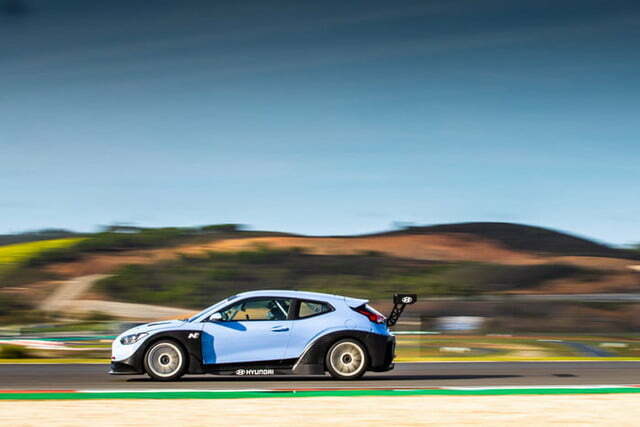 Numerous other modifications are made at Hyundai Motorsport’s headquarters in Alzenau, Germany, to make the Veloster N into a racing thoroughbred. 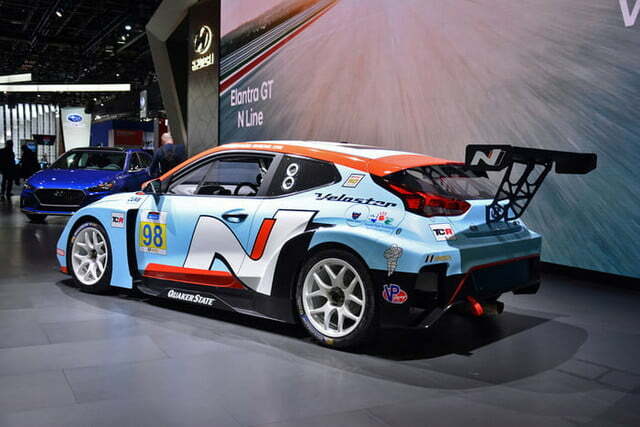 The hatchback gets cartoonish looking fender flares and massive rear spoiler, which give it an angry look. The interior is gutted and fitted with a roll cage and six-point harness for safety. 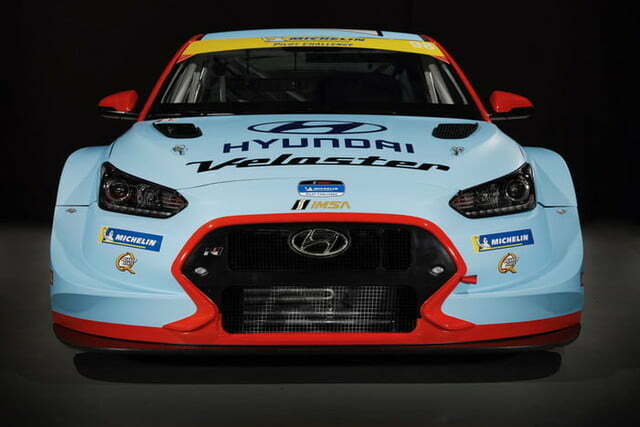 The Hyundai Veloster N TCR makes its racing debut January 25 at Daytona International Speedway in Daytona, Florida. 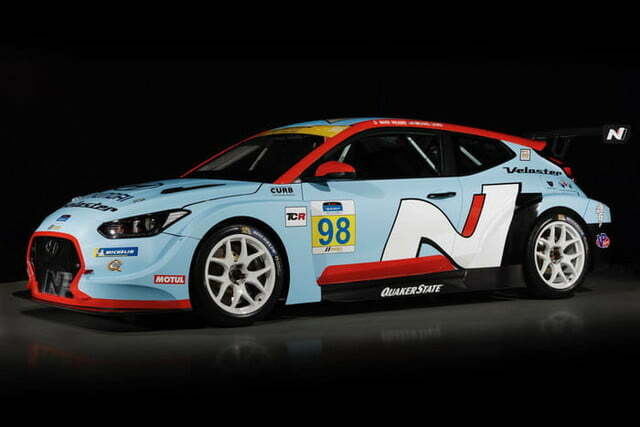 If you have a race team, Hyundai will also sell you one of these cars for about $155,000 at current exchange rates. 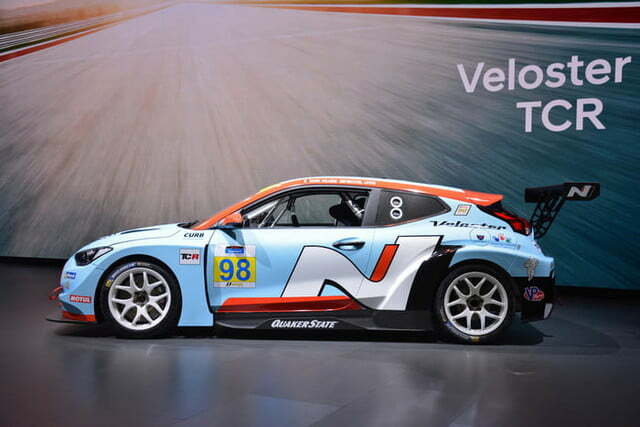 A stock Veloster N starts at $26,900, meaning you could buy five of them for the price of one race car. Or one 755-hp Chevrolet Corvette ZR1.